July 27, 2017 July 27, 2017 ~ Sequoia K.
Few hours ago, I saw the most beautiful rainbow I have ever seen. 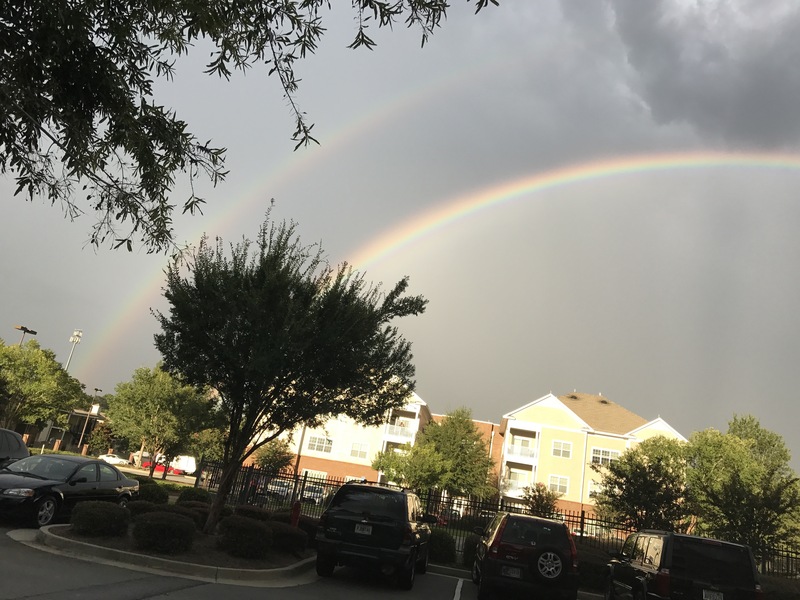 A double rainbow. It was soo big and right in front of my apartment. The minute I saw it, I knew it was a sign. Earlier today I asked the LORD if I did the right thing by quitting my job and for him to please send me a sign. Of course after I saw the rainbow I had to research what it meant because I just knew it meant something. According to Google, it symbolizes transformation. The double rainbow is the symbol of transformation. In the first rainbow we see red is at the top and violet at the bottom. This represents the material world. We are a rainbow, but the red belongs at the feet and the first chakra area and the violet at the head. So when we see the red at the top and the violet at the bottom, it is as if we are seeing a person upside down or descending from heaven diving down to the earth. In the upper second rainbow, and remember it is not such a common sight, the colours are the right way up, this symbolizes the journey back to heaven, the ascent of the kundalini, the journey of transformation, the spiritual world. Thank you Lord. I know for a fact now that everything will work out and I will be fine.